Cherry Moon Farms is a leading retailer of Gourmet Food, based out of San Diego, California, United States. They are best known for their gift baskets which can be tailored to different occasions, such as birthdays or anniversaries. You can buy their selection online at CherryMoonFarms.com or via traditional mail order. The brand is owned by Providence Commerce, Inc. which also owns a number of other eCommerce and catalog properties. Shopping online is particularly beneficial because they offer so many deals. These are redeemed by using Cherry Moon Farms coupons, and we list all the latest codes here at Coupofy. Cherry Moon Farms was founded in the early 2000s as a catalog company but quickly decided that starting an online store would be more beneficial. This went online in 2003 and you can now buy the full range via both ordering methods. They source their products from several partner growers and suppliers, focussing on luxury and quality. Christopher Shimojima currently serves as CEO, and they company contributes to Providence Commerce's $500 million yearly revenue. Cherry Moon Farms sells a wide range of gourmet food including organic fresh and dried fruit, nuts, meats & cheeses, chocolate, cookies & other baked goods, popcorn & snacks, and dipped strawberries. 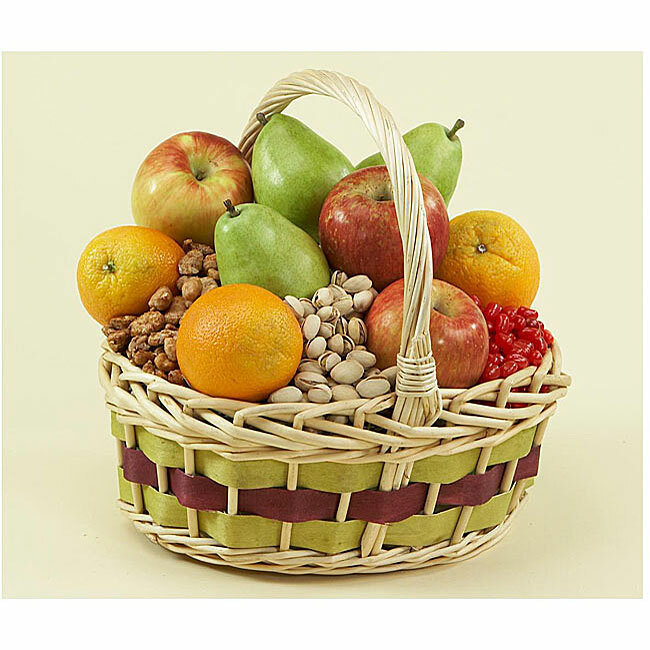 These are primarily offered in gift baskets, which can be mix and matched to your individual tastes or for special occasions such as birthdays, anniversaries, get well & sympathy, business functions, thank you, baby showers, and others. You can also browse listings via Him, Her and Kids to find appropriate baskets. Most Cherry Moon Farms promo codes can be redeemed for products in any category. The site is very easy to use, with organized sections and a search bar that allows keywords or a catalog item number, the latter which will take you straight to the product page for fast checkout. Orders can be one off, or you can sign up for a regular delivery. Some of their most popular products include California Varietal Pears, Butter Toffee Peanuts, Point Reyes award winning Cheeses, Olli Salumeria Salame, Mrs. Field's Cookies, among others. There is also a regularly updated sales page for those looking for a bargain. Cherry Moon Farms accepts most major credit cards, such as MasterCard, Visa, American Express, Diners Club, JCB and Discover Card. Money orders, checks and other methods can only be used if you use the catalog mail order system, which will obviously take longer. If you want to redeem one of our Cherry Moon Farms coupon codes, all you have to do is choose the offer you want, click the link to go to the store, and copy the code from Coupofy during checkout. You will see the designated box just before payment. Cherry Moon Farms have a range of shipping options and are constantly offering free shipping deals, so be sure to check the website to see what's available. They currently only cater to customers in the United States however. At checkout you can choose the specific day you'd like your order delivered, beginning on the first available day. Next Day delivery starts at $4.99, while standard delivery is mostly free and takes up to 5 business days. If you want an order to be delivered on Saturday this starts at $9.99. 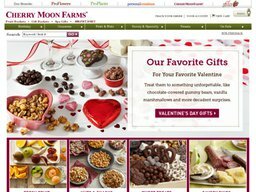 Free shipping is usually redeemed with a Cherry Moon Farms coupon code. As we are dealing with perishable items, the return policy isn’t very generous. However, in the case that the items have arrived as spoiled, or if the store has made a mistake, then you can return the items can get a full refund. To do so, simply contact the customer support team and let them know about your issues. They’ll get back to you as soon as possible. In most cases you won't have to send the item back if you want it replaced, but be prepared to show evidence that the current order is unsatisfactory. of course if you have use a Cherry Moon Farms discount code you will only be refunded the true amount charged to your payment method.